This assay provides only a preliminary analytical test result. A more specific alternate chemical method should be used to confirm a preliminary positive analytical result. Gas chromatography/mass spectrometry (GC/MS), gas chromatography/tandem mass spectrometry (GC/MS/MS), liquid chromatography/mass spectrometry (LC/MS) or liquid chromatography/tandem mass spectrometry (LC/MS/MS) are the preferred confirmatory methods. Professional judgment should be applied to any drug of abuse screen test result, particularly when preliminary positive results are indicated. 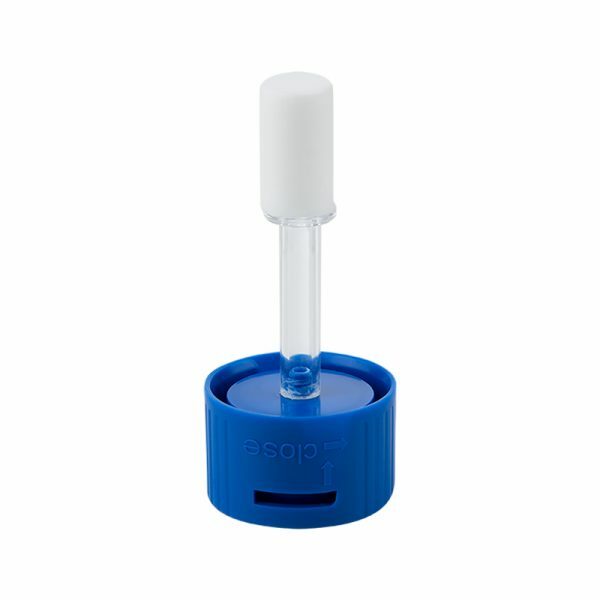 The ulti med SalivaScreen Oral-Fluid Saliva Cup S2 is a test to monitor therapeutic measures. The ulti med SalivaScreen Oral-Fluid Saliva Cup S2 is an immunoassay based on the principle of competitive binding. Drugs that may be present in the oral fluid specimen compete against their respective drug conjugate for binding sites in their specific antibody. During testing, a portion of the oral fluid specimen migrates upward by capillary action. A drug, if present in the oral fluid specimen below its cut-off concentration, will not saturate the binding sites of its specific antibody. The antibody will then react with the drug-protein conjugate and a visible colored line will show up in the test line region of the specific drug strip. The presence of drug above the cut-off concentration in the oral fluid specimen will saturate all the binding sites of the antibody. Therefore, the colored line will not form in the test line region. A drug-positive oral fluid specimen will not generate a colored line in the specific test line region of the strip because of drug competition, while a drug-negative oral fluid specimen will generate a line in the test line region because of the absence of drug competition. To serve as a procedural control, a colored line will always appear at the control line region, indicating that proper volume of specimen has been added and membrane wicking has occured.